In 1958, the box of Crayola ’64’ was introduced by Binney & Smith. 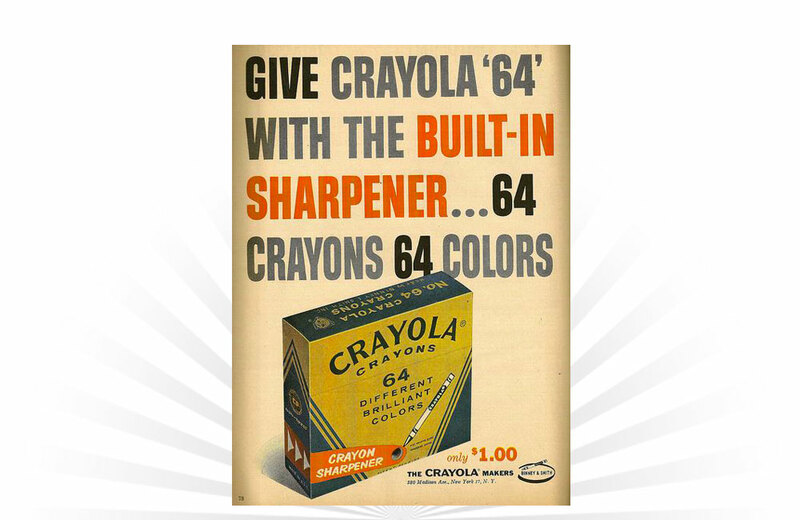 It included 64 crayons in 64 colors and was also the first package to include a built-in sharpener design. "Twice the magic, twice the cool. Wish your tub into a swimming pool."